The Q10 molecules are large fat-soluble molecules. They have somewhat hydrophilic heads and strongly hydrophobic tails. As such, they need to form into micelles to move into the watery phase near the absorption cells in the small intestine. Earlier, I asked Dr. William Judy about drug delivery systems using nanoparticles. Could the use of nanoparticles be a good way to increase the absorption of Q10 molecules? Dr. Judy looked at the published research literature and decided that, given the present state of research and development, nanoparticles are still not as effective as the body’s own micelles for the delivery of Q10 to the absorption cells in the small intestine. Q10 is fat-soluble, and there is a watery phase near the absorption cells in the small intestine. Q10 is a relatively big molecule to be absorbed. Q10 as a raw material comes in the form of crystals, and the body cannot absorb any crystals, only single molecules. Q10, even in lipid-based formulations, will tend to re-form itself into crystals unless it has undergone a special heat pre-treatment. Q10, even in the lipid-based products pre-heated before encapsulation, will tend to re-form itself into crystals inside the capsules unless it contains a dynamic molecule, which will prevent the Q10 molecules from recrystallizing. The special heat pre-treatment is important because the Q10 crystals will normally dissolve only at a temperature of 50 degrees Celsius or high. That means that the Q10 crystals will not dissolve by themselves at body temperature. And the body cannot absorb crystals of any kind. 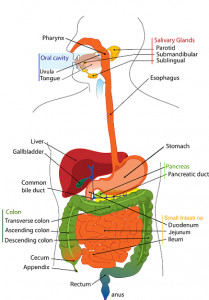 To facilitate the digestion and absorption of dietary fats and of fat-soluble substances as the Coenzyme Q10 molecules and the fat-soluble vitamins (A, D, E, and K), the body’s digestive system, aided by bile salts, makes micelles. These micelles are, themselves, tiny microspheres; they are naturally made nanoparticles. They generally measure about 10 nanometers or less in diameter. Thus, the Q10 molecules pass in the chyme from the stomach to the duodenum, the first part of the small intestine. There, in the interior of the small intestine, the Q10 molecules are formed into micelles with the aid of bile salts. The Q10 molecules form in the tiny balls (microspheres) with the somewhat hydrophilic heads of the Q10 molecules facing out towards the watery solution and with the very hydrophobic tails of the Q10 molecules concentrated inside the microspheres where they are thus protected from contract with the watery solution. Chyme (partially digested food) moves from the acidic stomach to the alkaline duodenum where it mixes with secretions from the pancreas, liver and gallbladder. With the help of the bile salts, the Q10 molecules form into micelles and move into the water phase near the absorption cells in the small intestine. Guided by monoglycerides, the Q10 micelles move through the watery phase in the interior of the small intestine. The duodenum, the first part of the small intestine, is only about seven to nine inches in length. It does not have a large absorption surface. 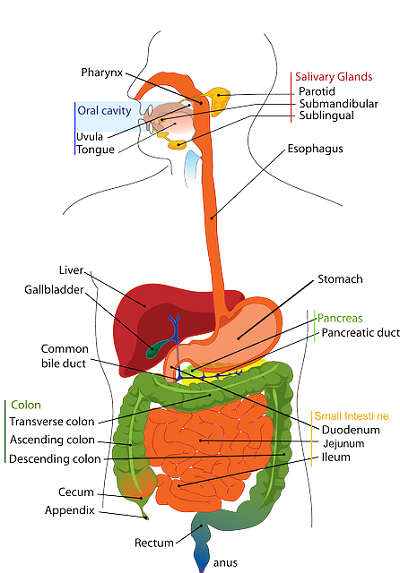 The duodenum is, primarily, the place where pancreatic juices and bile salts enter the digestive system. And the duodenum is where Q10 molecules are formed into micelles. It appears that most of the absorption of the Q10 molecules, delivered by the micelles, occurs in the jejunum. Dr. Judy does not believe that Q10 molecules are absorbed in their reduced form, which is called ubiquinol (QH2) . Ubiquinol, the reduced form, is very unstable and, in the presence of high acid content (H ions) in the stomach, ubiquinol is converted to ubiquinone, the oxidized form of Coenzyme Q10. So, no matter which form of Coenzyme Q10 is ingested, ubiquinone or ubiquinol, the form in the stomach will be the ubiquinone form, and that is the form that will be absorbed in the absorption cells in the small intestine. Once absorbed, the oxidized Q10, ubiquinone, is acted upon by oxy-reductase enzymes in the absorption cells, in the lymph, and in the blood, and then the oxidized form is converted into the reduced form of Q10. Nota bene: It is not the Q10 micelles as such that are absorbed into the lymph vessels. It is the individual Q10 molecules that are absorbed into the lymph vessels. The micelles are simply the means of transportation to get the Q10 molecules to the absorption cells (1). Note too: The Q10 molecules are not absorbed into the bloodstream in the small intestine. The Q10 molecules are absorbed into the lymph vessels in the inner wall of the small intestine. Typically, the Q10 molecules are incorporated into chylomicrons (= lipoprotein particles). The chylomicrons transport fat-soluble substances like Q10 from the intestine to the lymph and through the lymph. The Q10 molecules, once absorbed, are transported in the lymph, slowly, through the abdominal and thoracic lymph ducts to the large subclavian vein and, from there, into the systemic blood circulation. The relatively slow flow of the lymph is the reason for the delayed peak concentration of Q10 in the blood, coming typically about six hours after ingestion (1). In Dr. Judy’s mind, the most important aspect of Q10 supplementation is absorption and the subsequent bioavailability. Absorption is a measure of the amount of Coenzyme Qq0 that leaves the gastrointestinal tract and gets to the blood. Bioavailability is measured differently from absorption. Bioavailability measurements give a good picture of the amount of Q10 that gets from the blood to the cells and is available to the body’s cells for energy production purposes and for serving as an antioxidant. ← Ubiquinol — misleading claims?